Everybody hates having to stop reading ebooks, listening to music and playing Angry Birds during take-off. But it's not a fact of life; the FAA is rethinking its policy on using electronic devices during takeoff and landing. About. Bloody. Time. 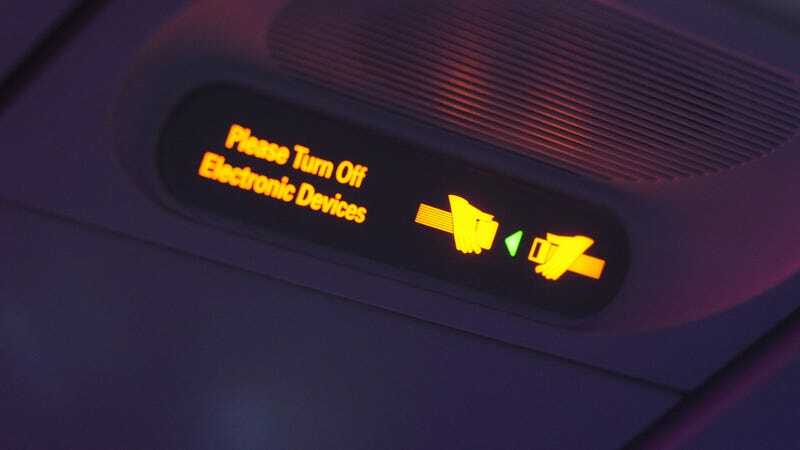 According to a report by the New York Times, the Federal Aviation Administration (FAA) is planning to take a "fresh look" at the ban on using electronic devices during taxi, takeoff, and landing. It is, however, not budging on phones; any changes will be for tablets, ereaders, MP3 players and the like. Currently, every single device that needs to be approved for use on planes has to be tested on an empty flight —one at a time. What's more, that has to be done on every plane in an airline's fleet. No wonder no airline bothers changing the status quo; it would cost a fortune.